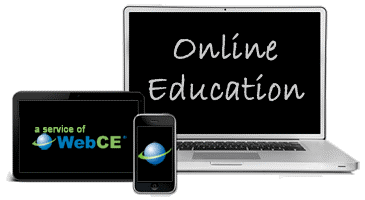 WebCE® provides the highest quality insurance licensing and continuing education materials in a fast, convenient online format. WebCE delivers over 850,000 courses each year and is the nation’s largest provider of continuing education for insurance and financial planning professionals. For licensing exam prep, you will be directed to www.prelicense.com. PreLicense.com®, a service of WebCE®, provides a complete licensing exam prep solution to help new applicants get licensed fast. PreLicense.com combines state-specific online course material, interactive multimedia instruction, unlimited practice, and live coaching to help students pass the state licensing exam on the first try.